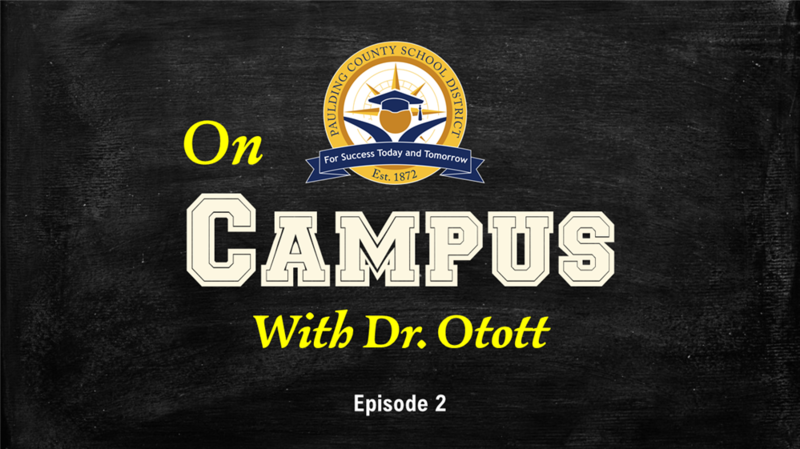 Dr. Otott visits Hiram High School, talks to principal Misty Cooksey, and gets a surprise visit from the Hiram HS Choral group. The Employee Spotlight introduces Hiram HS Media Specialist James McClendon. AdvancED, the district's accrediting agency, extends PCSD's accreditation for five years, and provides the district a glowing review. Information about Planning For The Future and the district's recent series of Community Conversations can be found here. 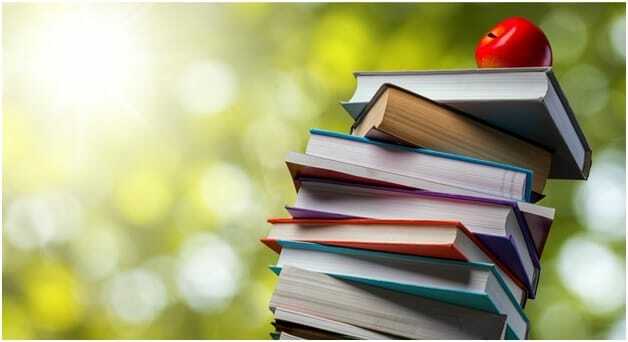 State Superintendent Richard Woods has named four Paulding County School District high schools to the list of Advanced Placement (AP) Honor Schools for 2019. 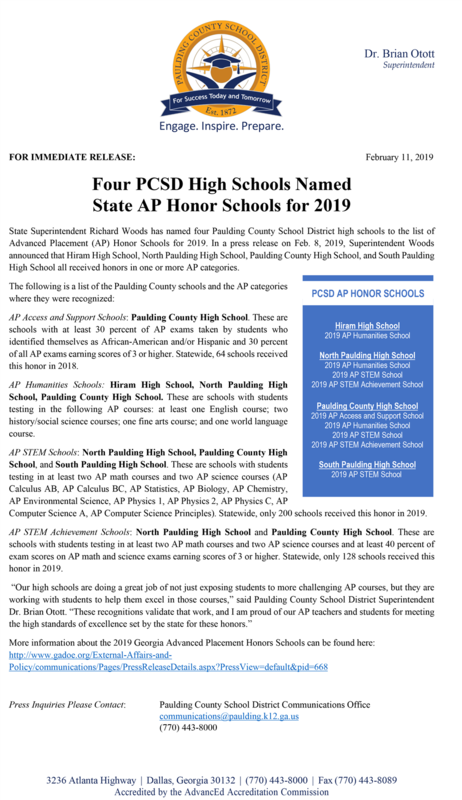 In a press release on Feb. 8, 2019, Superintendent Woods announced that Hiram High School, North Paulding High School, Paulding County High School, and South Paulding High School all received honors in one or more AP categories. 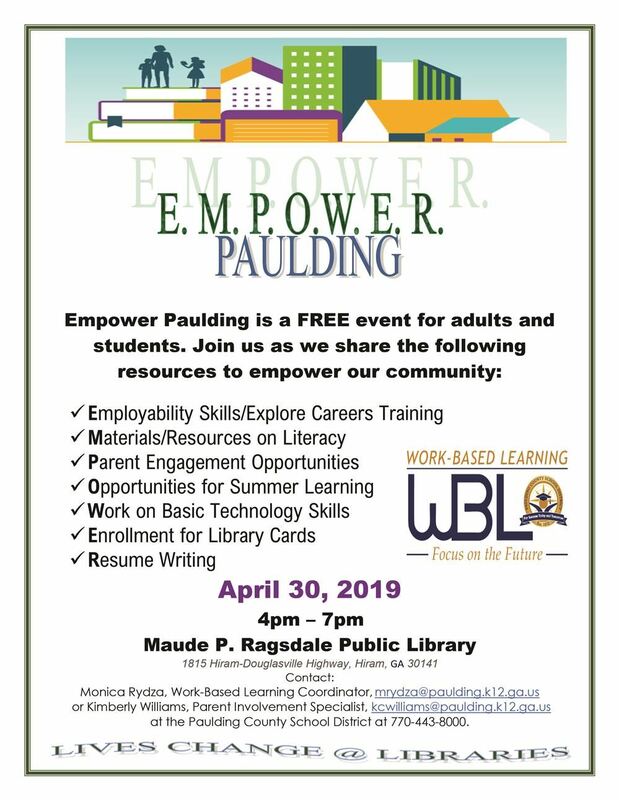 The Paulding College and Career Academy will open to students in the fall of 2019. It will feature four distinct career pathways including: Energy, Healthcare, Cybersecurity, and Mechatronics. 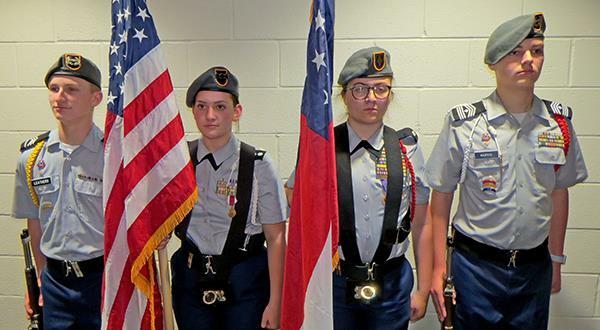 The Paulding County High School JROTC led off the Nov. 13, 2018 Board of Education meeting with the presentation of colors. 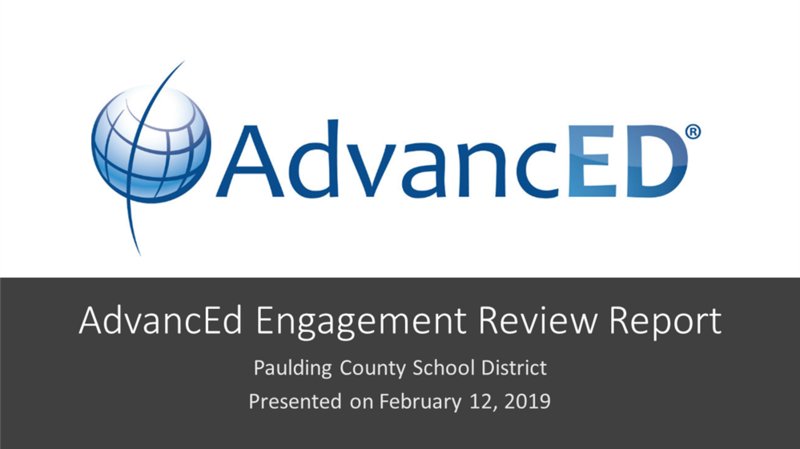 In October 2018, the Paulding County School District hosted an External Review Team to seek AdvancEd District Accreditation for an additional five years. Effective November 1, 2018, the PCSD district website has a new design with easier navigation, including Student, Parent and Staff dashboards. Over the month of November, school websites will be updated with the new design. 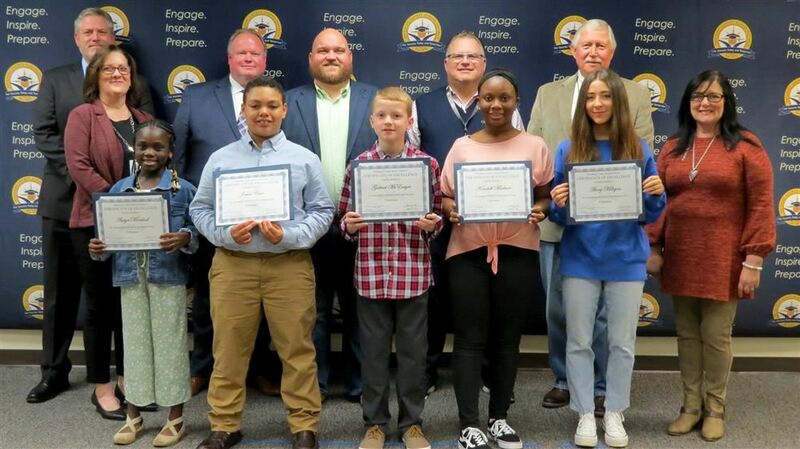 The Paulding County School District recognized two of its outstanding students on Thursday, Oct. 25, 2018, during a REACH Scholarship signing ceremony at Chattahoochee Technical College in Dallas. Camp Invention is returning to Paulding County School District!